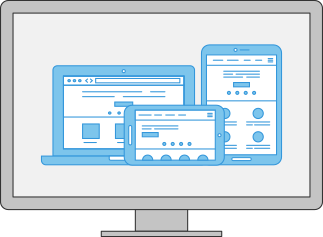 In an increasingly mobile world, businesses can no longer assume that their desktop-optimized website will be enough. With everyone perpetually on-the-go, consumers are accessing online content from a variety of devices and have come to expect that the web content they view will conform to their device of choice. At WebsPlanet, we have responded to these market demands by optimizing every one of our templates to work seamlessly between devices. Whether a customer is accessing a blog on their smartphone or buying merchandise with their tablet, our responsive designs work behind-the-scenes to give them the same smooth experience no matter what device they use. It’s a mobile world out there. Make sure your clients’ websites will meet their customers exactly where they are.